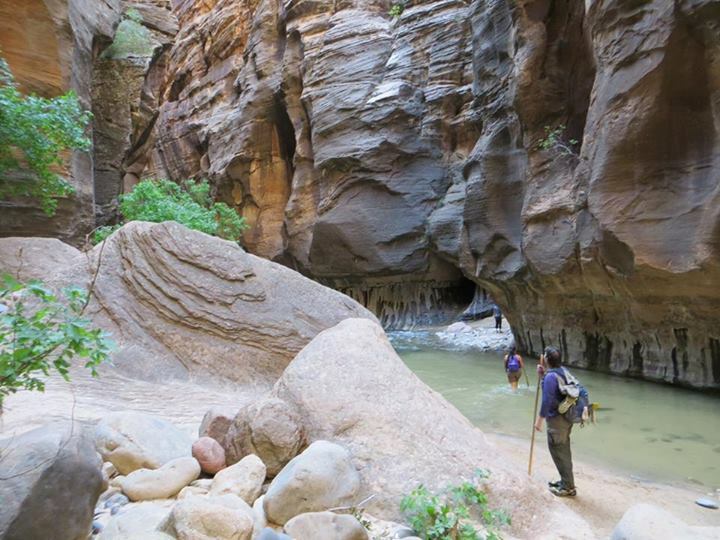 I am thrilled to secure the very last two permits for The Narrows in Zion National Park. 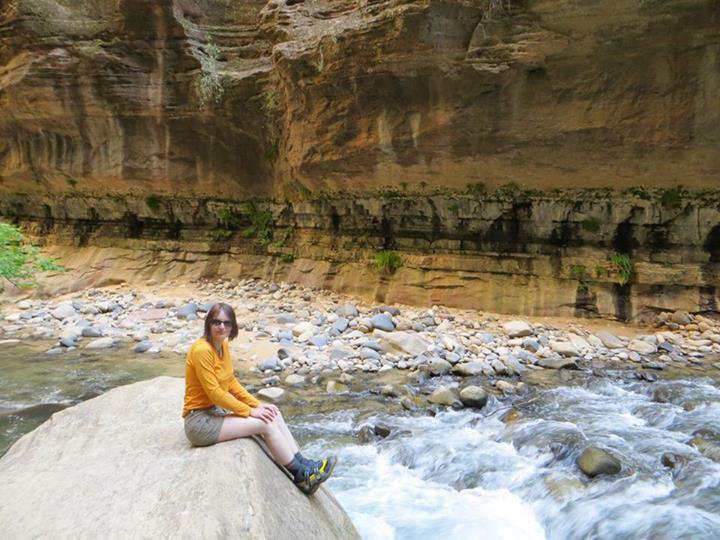 Initially we were hoping for a backpacking trip to allow ourselves enough time for photos, but arranging the whole trip on a very short notice, we are quite lucky to get at least the day permits for the hike. 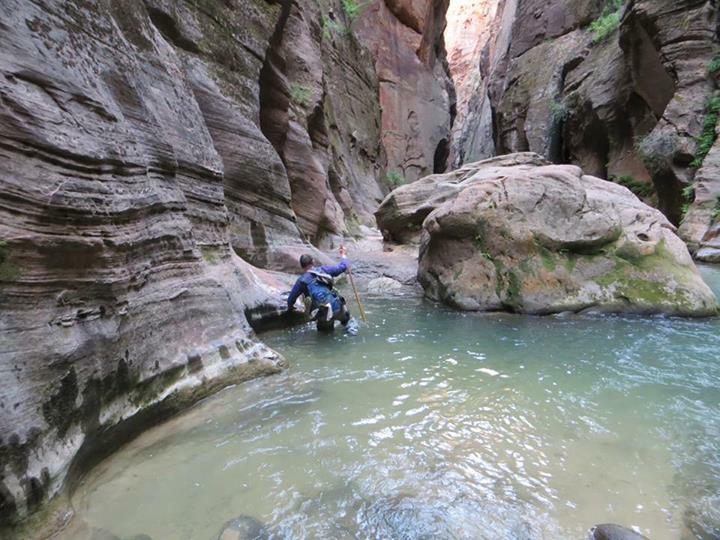 We have never done any canyoneering or river hiking before and we are excited to explore this totally different world. 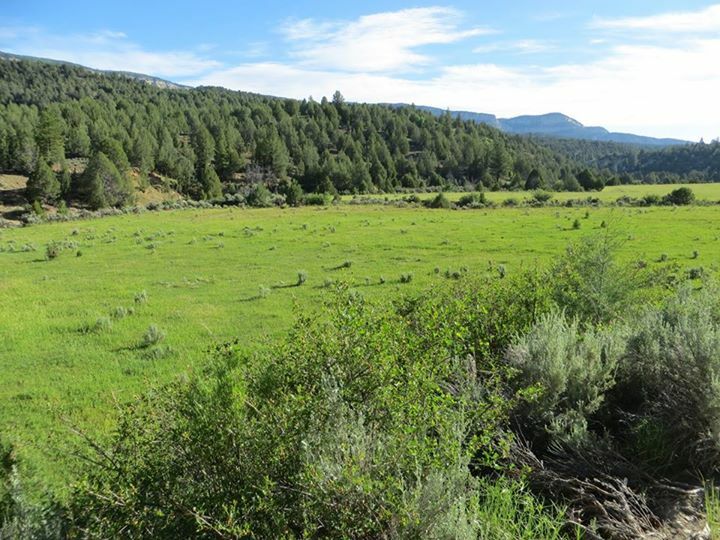 First few miles of The Narrows trail led us through open meadow areas. 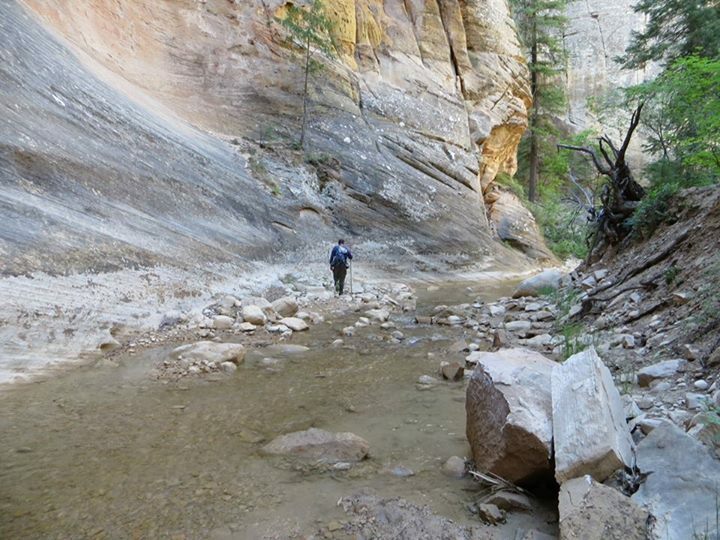 The adventure starts early on that Monday morning when a shuttle takes us from Springdale to Chamberlain’s Ranch, and from there we are on our own to follow Virgin River downstream all the way back to the park. It is shortly after 7:30, and it is already a beautiful day. Blue sky, and sunshine, pleasant temperature of around 70 degrees for that moment which was later expected to rise above 100 F. Taking advantage of the cooler morning, we try to cover as much distance as we can in the beginning of our trip. We are on a dirt road, walking through a pasture. The scenery is pleasant, but the real beauty lays ahead of us, and we do not have reason to procrastinate here. 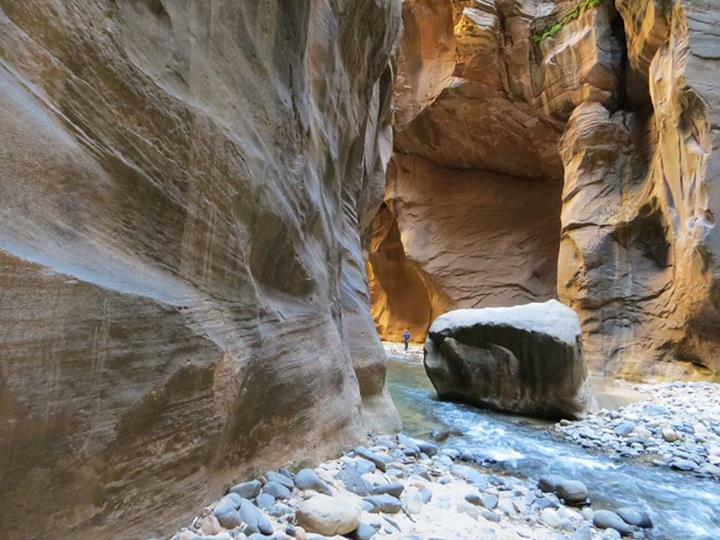 Finally we meet with Virgin River and step into its water. 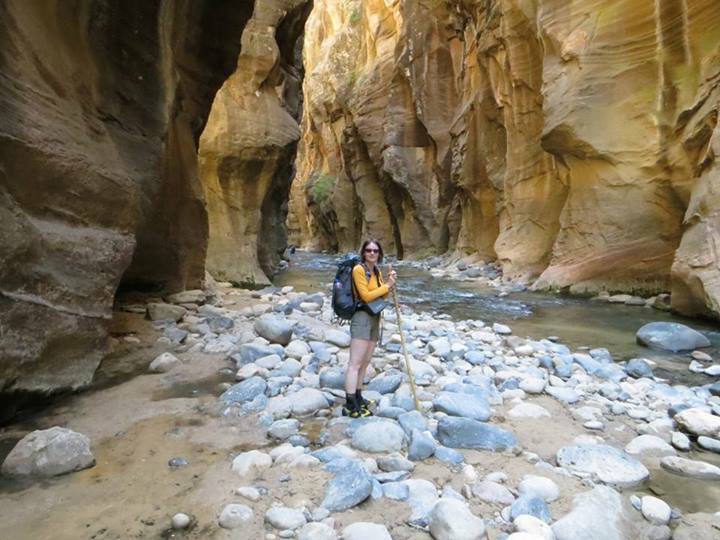 It is only ankle deep at first and many large rocks make it possible to make first few crossings without getting wet. My approach shoes do not handle the wet rock well, so I soon swap them for the rented 5.10 Canyoneers and with their sticky soles, they immediately become my best friend. 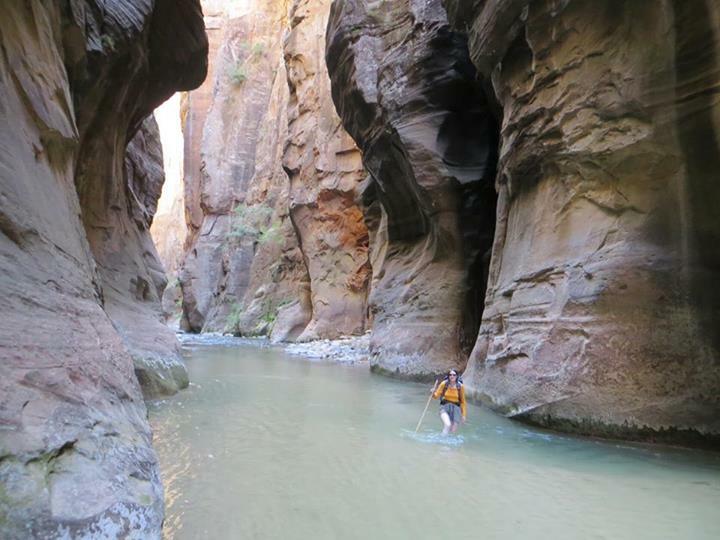 The water remains shallow for the first several miles, during which we enjoy views of the rock walls reaching to the sky above us, and first Narrows section where the walls come closer together and we can from up close and personal admire the craftsmanship of the river carving this canyon. 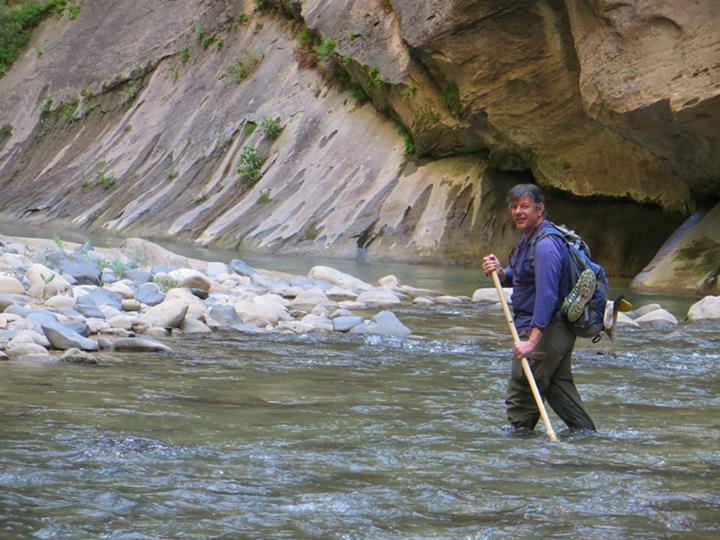 It is not as easy as one would think to make the 16 miles downstream. As the water becomes deeper, the crossings become more challenging. Our pace slows down considerably even at spots where the flow is mild. We emerge at the other end after 11 hours of constant ooh and aah, knowing that this is a hike we will gladly return to do again if opportunity arises.